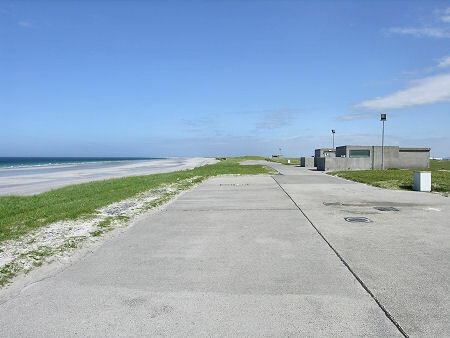 South Uist is the second largest of the islands in the Western Isles, measuring some 22 miles north to south and 7 miles from east to west. The geography is divided into a series of north-south strips, each running the length of the island. The west coast faces onto the Atlantic and comprises around 20 miles of beach, broken only by a headland at the half-way point. 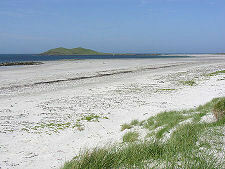 Behind the beach is a strip of machair, or grassy duneland. East again is a strip containing a vast number of small fresh water lochans, and a series of dispersed crofting townships. The eastern side of this strip is marked by the line of the A865 as it runs the length of the island. 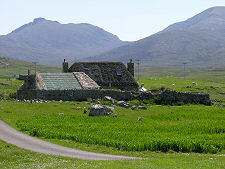 To its east the ground rises to the mountains that run almost the whole length of the eastern side of South Uist. These are dominated by Beinn Mhor at 2,033ft or 620m, and Hecla at 1,988ft or 606m. The pattern is only broken by the deep intrusion into the eastern coast of three sea lochs, from north to south Loch Skipport (Sgiopoirt), Loch Eynort (Aineort), and Loch Boisdale (Baghasdail). East Coast settlement is largely confined to the heads of these three lochs. South Uist stayed overwhelmingly Catholic after the Reformation, and it remains a focus of Gaelic culture to this day: despite the efforts over the centuries of Governments and landowners as late as the end of the 1800s to suppress the language, culture and religion of the island. And in the 1840s clearance to make room for sheep grazing led to many of the residents being evicted and forcibly shipped off to Canada. 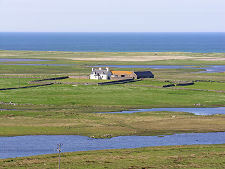 Any tour of South Uist will comprise a trip up or down the length of the A865, combined with a selection of the out-and-back side roads to the east and west. 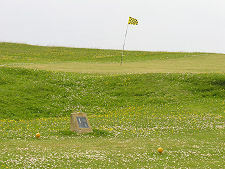 Ardivachar Point, in the north west corner of the island, is believed to comprise the oldest rocks in Britain. 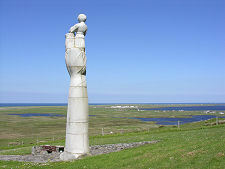 A little to the south, near Geirinis, the hill to the east of the main road, Rueval (Ruabhal), is known as the Hill of the Miracles and in 1957 saw the erection of Hew Lorimer's 30ft statue of the Madonna and Child, "Our Lady of the Isles", on its slopes. The collection of buildings and domes on the summit of the same hill were added later and diminish the impact of the statue. They are part of the Ministry of Defence Missile Range that was built here in the late 1950s and which accounts for the number of "Danger Area" signs around the west coast of the island on Ordnance Survey maps. 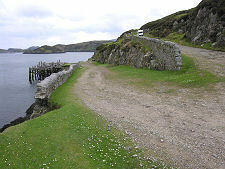 Loch Skipport and Loch Eynort can be reached by road, though the beaches of the west coast are largely inaccessible by car for much of the length of the island (the walk will do you good). 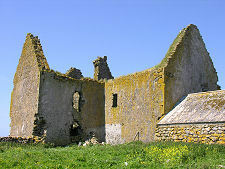 At Ormaceit are the ruins of Ormacleit Castle. This was one of the last castles built in Scotland, being finished in 1708. It was also one of the shortest-lived, being burned down in an accidental fire in 1715. 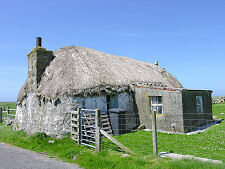 Also worth visiting is the village of Howmore (Tobha Mor), and the Kildonan Museum. 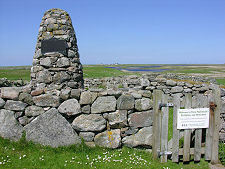 Not far from the latter is the monument celebrating the birth of Flora MacDonald, who would later help Bonnie Prince Charlie cross "over the sea to Skye". 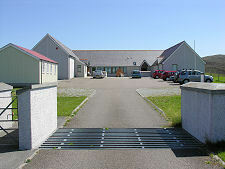 As the island's main settlement, Lochboisdale will be on most itineraries, as will nearby Daliburgh. Interestingly, though, Lochboisdale is no longer an essential part of a visit to South Uist. Since the Sound of Barra Ferry came into full operation it has been possible to tour the Western Isles making use of the link from Eriskay to Barra, rather than the longer established link from Lochboisdale to Castlebay and Oban. 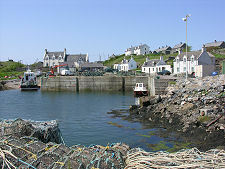 But even if you are catching the ferry at Lochboisdale, a visit to Eriskay is a "must see" while touring South Uist. Accessible via a 1,650m causeway completed in July 2001, it is a beautiful island. 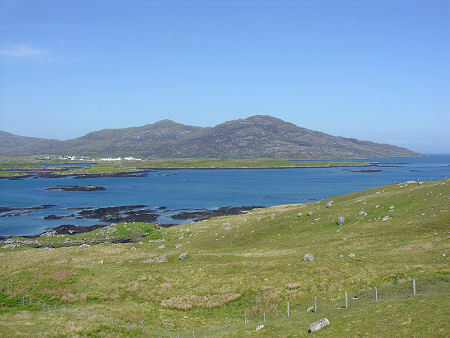 And while visiting Eriskay, take a little time to explore South Uist's southern tip, around Ludag and Pollochar.